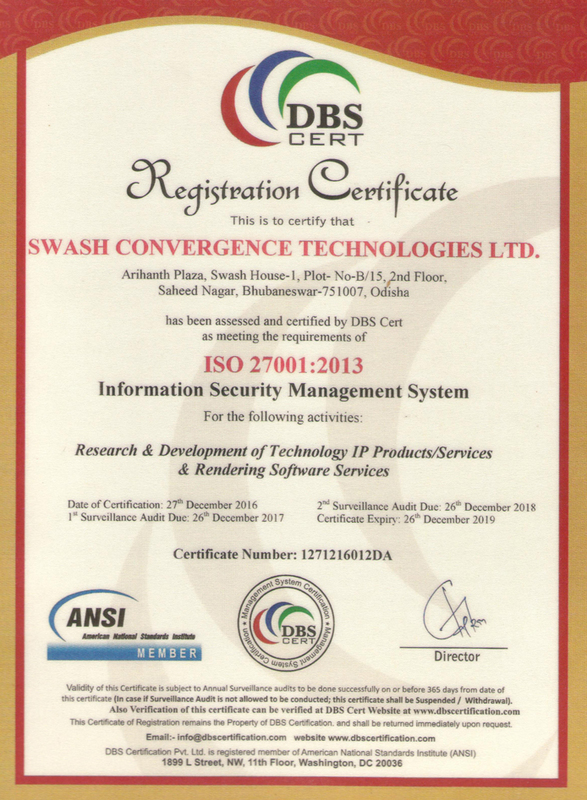 Swash Convergence Technologies Limited is an ISO 9001-2015 and ISO 27001:2013 certified Software Development Company based in Odisha, India. It has been operating independently since 2001.This certification defines the commitment of Swash to adhere to the organization's policy for continuously improving the products and services to exceed its customers' satisfaction. We are dedicated to maintain the highest level of effectiveness and responsiveness in our services we deliver. Moreover as an ISO certified company, we ensure all internal procedures and systems are of the highest standards. 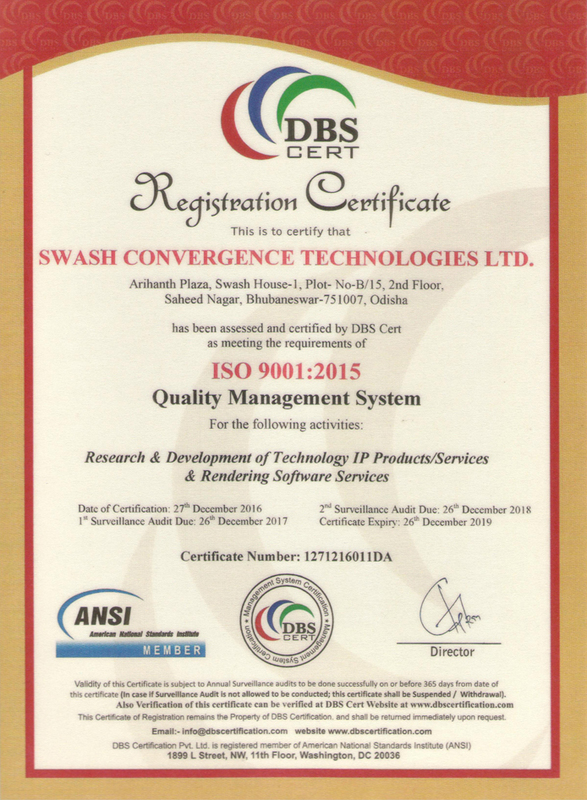 Swash’s ISO 9001:2015 standard certificate demonstrates its ability to consistently provide product that meets customer and applicable statutory and regulatory requirements.